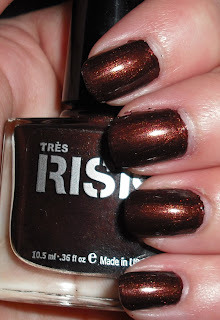 This is the second set of Tres Risk polishes I got. I reviewed the "Glamorous Life" collection yesterday. This is a set of foil neutrals. These are great colors. 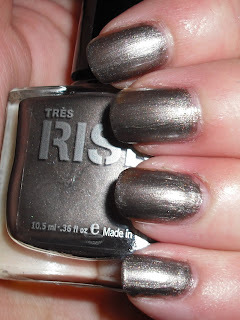 I love the shades and foil finish of these. This set was $4.99 at Ross. Buy Gold is a warm deeper toned gold foil. Great gold shade. It's nice change from bright golds I'm used too. Sequins of Events is grey-taupe foil. I love that this has a hint of brown to it. 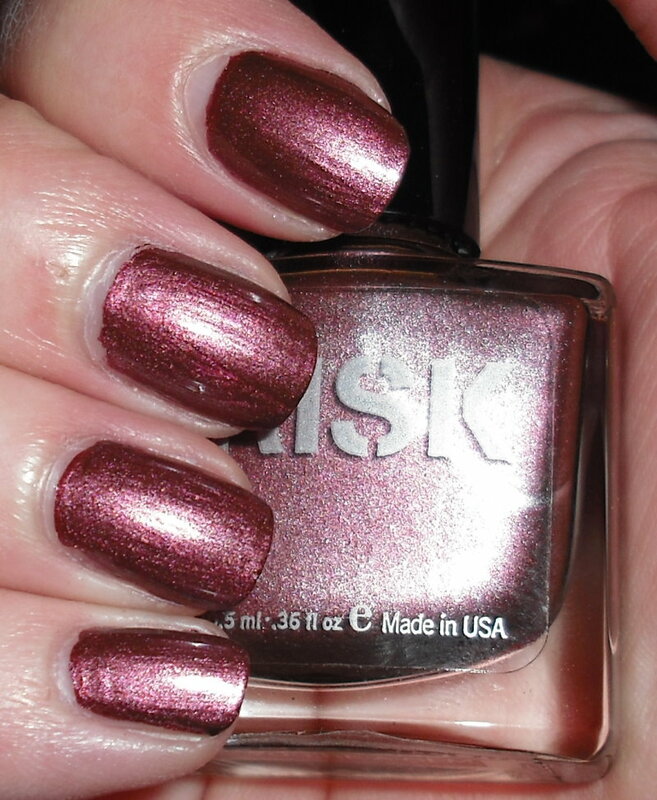 You're a Gem is a warm deep pink silvery foil. This reminds me of China Glaze Hey Doll. I actually prefer this one better it has more pink to it. I love fall-like pinks. I think they are few and far between. 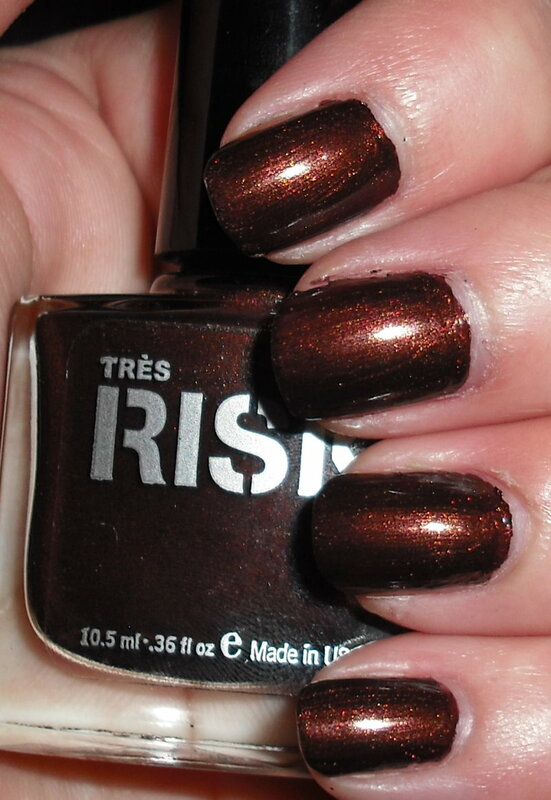 This Bronze's For You is a rich chocolate brown shimmer. This is very pigmented and has hint of red in it. 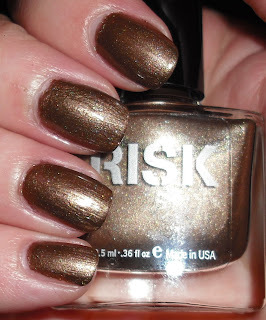 That's it for the Tres Risk collections. I hope you enjoyed these. I think they're great polishes for a great price! I will have to scope out the local ross stores for these! 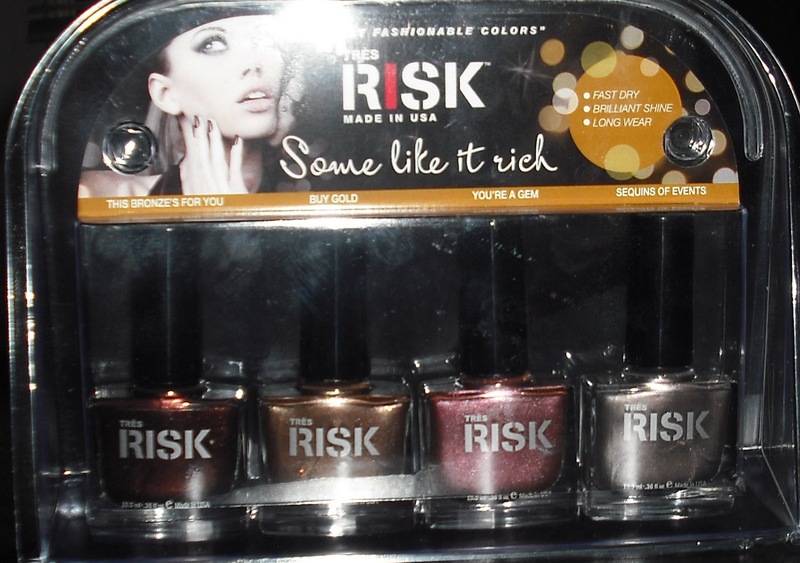 thats a lot of polish (good looking polish) for such a cheap price! 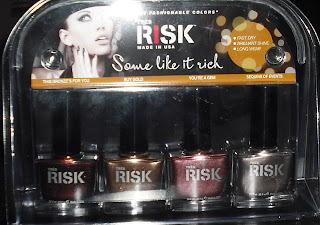 i saw these and three different sets of eight (i think) color club polishes at ross today for only $4.99 each. i'm so mad at myself for not buying at least one set of something. I'm glad you are swatching these. I got some of them too and was really hoping they'd be good ones. Both sets you reviewed are dark shades, was the creme set also dark? I'm wondering if maybe they only do dark vampy shades? That's okay with me since I prefer dark, but it could also just have to do with the season. Ok now I need to scope out Ross for polish finds - I'd love to find this set!